This song was the last track on Back in Black and the final single released from the album. Interestingly, this was the highest charting song from this album in the U.K., peaking at #15. We’re taking a break from out countdown of the top songs of 1962 because of Christmas being around the corner. Before we get to a few Christmas songs, here is one of U2’s best. It’s from 1984 but I always though it was from the early 1990s. Also, as good as this song is (it’s about MLK by the way, if you didn’t pick up on it), it only reached #2 in Ireland. What could’ve been #1 that week? 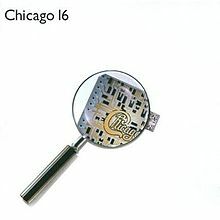 As upbeat as this song is – and the fact that it was on the by-this-point-cresting wave of Latin-tinged 1980s hits – it only managed to hit #11 on the Hot 100, but it was still a mainstay on Adult Contemporary radio for the next five years, at least. This was the most fun hit from Gloria’s final album with the Miami Sound Machine. First, this song has nothing to do with the other two from earlier this week. Second, depending on what country you’re in (U.S. or U.K.), this was either the fourth or second single, respectively, released from Synchronicity. It was a top ten hit in both countries, but did manage to hit #1 in Ireland. It’s just another great track from the Police in 1983. Not a lot of rock songs from the 1980s could be described as “beautiful.” I submit this as the exception. The jazzy instruments and overall mellow sound – coupled with classic Steely Dan vocals – add to a great, smooth soft rock tune. It actually peaked at #10 on the Hot 100. Synthesizers were in in ’80 and this track makes perfect use of them without overdoing it. It is my favorite Steely Dan song. When an artist goes solo and has a huge hit I always wonder if their solo hit would’ve worked if it came from the band. In this case, I don’t think this would’ve made a great Fleetwood Mac song. This was her first true solo single (there were two before it but both were duets). The guitar riff was later used by Destiny’s Child on “Bootylicious.” “Edge of Seventeen” has to be Stevie Nicks’ signature solo tune, even if it (barely) failed to crack the top ten on the Hot 100. This is sort of the title track from Janet’s 1989 album Rhythm Nation 1814. As the second single, it went to #2 on the Hot 100 and its video is one of the most recognizable of the first 10 years of MTV. It’s one of the best songs from an album loaded with “best” songs. An Innocent Man might be my favorite Billy Joel album – mostly because it plays with doo-wop music on multiple hit singles, including this which only features two instruments (a bass and a drum played with a brush) and a bunch of layered vocals, all provided by Joel himself. Because of this, “The Longest Time” is popular among a cappella singers. But if you want to hear how good of a singer Billy Joel was back in the day, this is all you need. I’m not a Barbra Streisand fan – in any way, shape or form. I do not get her appeal and growing up, I was never quite sure why she was even famous. That said, this is a song, that, when it came on the other day, I did not find myself skipping to the next song. It has a kind of brooding to it that’s actually pretty interesting. It was a Hot 100 #1 and was her biggest (and most recent major) hit. 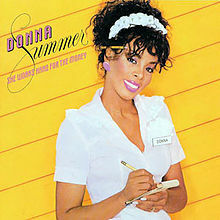 I think this is my favorite song by Donna Summer, the Queen of Disco. Maybe that’s because it’s really not as disco-heavy as the rest of her major hits. This was also her last major hit, coming in 1983. It has a cool new wave beat that makes the whole song feel like it’s supposed to only be used in montages. It hit #3 on the Hot 100. This song, famously sampled (and perhaps, in this case, the sample is more famous than the original song) in “Mo Money, Mo Problems” by the Notorious B.I.G. 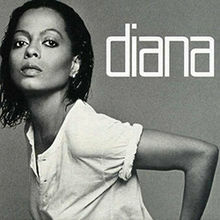 It was a top five hit for Diana Ross from what would be her final major hit-producing album in 1980 – quite the run for someone who got her start singing Motown back in the early 1960s. A complete transformation. “Janie’s Got a Gun” was the second single from Aerosmith’s 1989 album Pump. It was a top five single on the Hot 100, peaking at #4. Often combined with the preceding track on the album, “Water Song” – which is a 10-second instrumental track, this song is one of Aerosmith’s biggest hits and it still receives a fair amount of airplay on classic rock radio. A good tune from Aerosmith’s big hair days (have those days actually ended?). Sade’s second album, Promises, had big shoes to fill because Diamond Life was incredible. 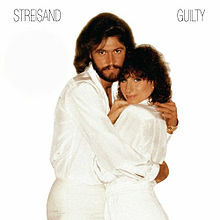 This album had three singles and “Is It a Crime” was the third and final one. It was also the least successful of the three – and while that’s understandable considering the other two, it’s still a great song with soulful vocals, roaring sax, and haunting music. Sade is truly one of the greatest musical acts ever. Animotion was a new wave band from San Francisco that came together in 1983. This was their best-known song and it was actually a synthpop cover of a little known duet by Holly Knight and Michael Des Barres. 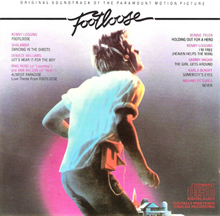 The Animotion version has become a staple of 1980s new wave and in 1984, it was a top ten hit on the Hot 100. This was one of the Doobie Brothers last big hits – reaching #5 on the Hot 100. It’s classic Michael McDonald vocals and classic soft rock. I love this sound from the Doobie Brothers – sort of late-70s/early-80s soft rock with a touch of synth and the definitive voice of this kind of music from McDonald. Phil Collins was a pretty big deal circa 1984. So when Philip Bailey teamed up with him to record and release this song, there was a good chance it was going to be a big hit. And it was – hitting #2 on the Hot 100. Bailey’s high-pitched vocals are the perfect complement to Collins’ unique voice. It sounds very 80s but it holds up today whenever I hear it. I said last week we were saving the best for last and this is it, the final duet from our months-long run. Hope you enjoyed it. I sorta went with the whole “save the best for last” thing with this song. While we’re not quite done with our big duet post rundown, we’re getting close. And I love this song. The music is perfect 80s, and the harmonizing between Austin and uncredited backing vocals-provider Michael McDonald is just fantastic. In 1982 this song peaked at #73 on the Hot 100. Later that year it appeared on General Hospital and re-charted – this time at #1. Worthy of it, I’d say. Charity singles. The U.K. goes crazy for them and has them all the time. It doesn’t work so well here in the U.S. Perhaps it’s because this track. I’m not sure. It’s definitely cheesy and a part of 1980s culture. This was a group of singers who came together to perform a song written by Michael Jackson and Lionel Richie and sell it to raise money for famine relief in Ethiopia. The whole thing was inspired by Band Aid (from the U.K.). It ended up raising $100 million and selling over 20 million copies (impressive). Annoyingly, USA for Africa stands for “United Support of Artists for Africa” and that’s because a few of the artists weren’t American. Here’s everyone other than Jackson and Richie who were involved: Dan Aykroyd, Harry Belafonte, Lindsey Buckingham, Kim Carnes, Ray Charles, Bob Dylan, Sheila E., Bob Geldof (who was responsible for Band Aid), both Hall and Oates, James Ingram, Jackie Jackson, La Toya Jackson, Marlon Jackson, Randy Jackson (the one from the Jackson 5… not the one from American Idol), Tito Jackson, Al Jarreau, Waylon Jennings, Billy Joel, Cyndi Lauper, Huey Lewis and the News (the whole band), Kenny Loggins, Bette Midler, Willie Nelson, Jeffrey Osborne, Steve Perry, all three Pointer Sisters, Smokey Robinson, Kenny Rogers, Diana Ross, Paul Simon, Bruce Springsteen, Tina Turner, Dionne Warwick, and Stevie Wonder. Yeah, pretty impressive. Look at how many of those people are respectable and/or legendary (many of them) and think about how that would play out today. Do we really need Bieber and Kesha and company coming together for charity? That’s the exact reason charity singles don’t work in the U.S. anymore. The current crop of North American are trash. Also: not how hilariously out of place Bruce Springsteen and Bob Dylan sound here. I guess if part of song being “very 80s” is a raging saxophone, then Clarence Clemons is your man. Clemons – who you might not know by name – you definitely know by his performance. Until his death in 2011, he was the saxophone player in the E. Street Band, backing Bruce Springsteen since 1972. This was Clemons’ only solo hit and his association with The Boss didn’t hurt sales figures. Jackson Browne is guest musician and vocalist here – and his then-girlfriend Daryl Hannah also provided backing vocals. Weird. The Dirty Dancing soundtrack is one of the most successful soundtracks of all time, selling over 32 million copies. I can’t be the only one who finds it weird that Patrick Swayze had a top three hit in the U.S.? Then again, this was the decade of all kinds of actors releasing music – Don Johnson, Bruce Willis, etc. Patrick Swayze is the main credited artist, but the single was actually released with “featuring Wendy Fraser” attached to it. You can tell this is from the 80s because of the power ballad lyrical delivery and the saxophone. Mostly that sax. This was a #1 hit for Peter Cetera and Amy Grant and it comes off of Peter Cetera’s most successful solo album. This was Amy Grant’s first hit in mainstream music and the song that marked her shift away from Christian music. I like Peter Cetera’s voice and the weird twang or whatever it is that he has when he sings. Whenever I hear Amy Grant’s voice, I can only think of Christmas music. This is solid 80s. This song was written by Burt Bacharach and Carole Bayer Sager. Rod Stewart recorded it originally but it was Dionne Warwick’s version that went to #1. Well, Dionne Warwick and friends. Those friends? Elton John, Gladys Knight, and Stevie Wonder. Pretty impressive friends. Well name-dropped, Dionne. This was a charity single to benefit AIDS research. It’s one of those tunes that everybody knows. This Hot 100 #1 hit was originally recorded by Dionne Warwick, but never released. So Patti LaBelle and the former lead singer of the Doobie Brothers, Michael McDonald – the best voice in blue-eyed soul – put out a version to top the charts. The duet was not recorded live together, but instead recorded in different cities independently and merged into one track. If you like McDonald’s unique voice, you’ll like this song.